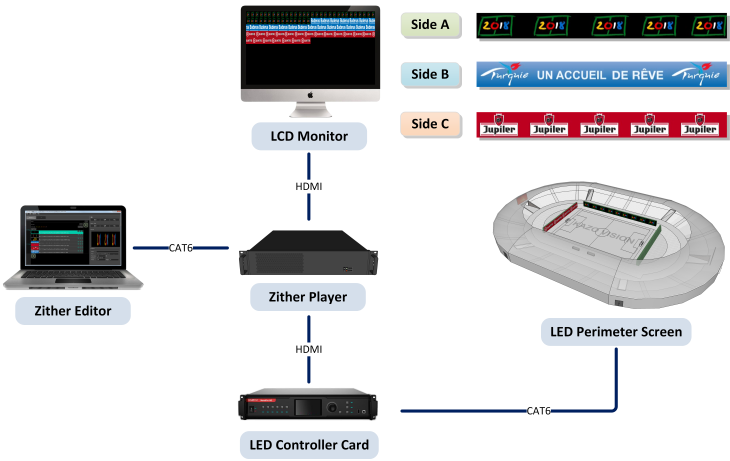 The Zither perimeter screen software is perfect for large stadiums. Output resolution up to 4K. One player can control all of the ribbon perimeter screens in the stadium.